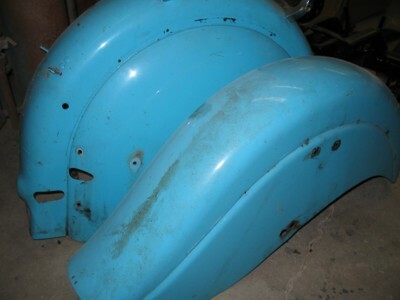 Probably a Police Model judging by the holes in the fenders. 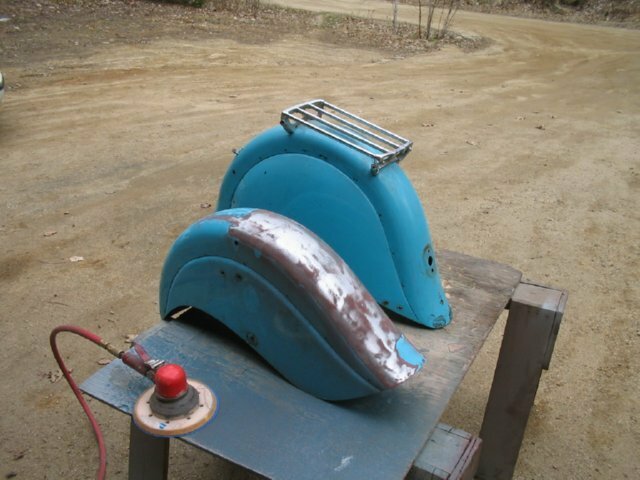 Don Switter, present owner/restorer. 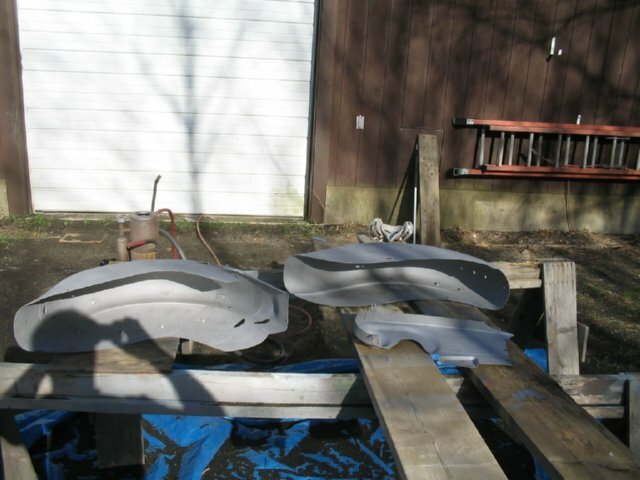 Dons Landscape business keeps him very busy 3 seasons out of the year. 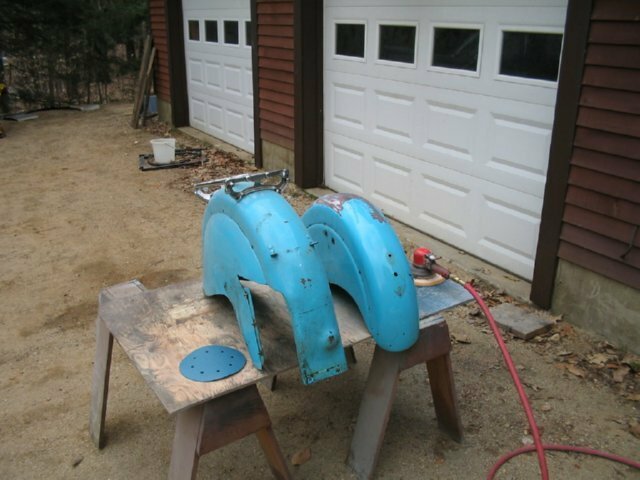 In the winter, besides plowing snow, he likes to restore cars, and motorcycles. 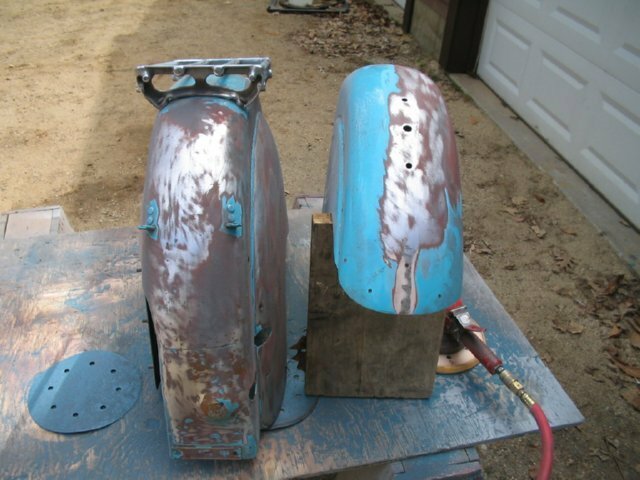 Previously poorly restored, Don saw a diamond in the rough. 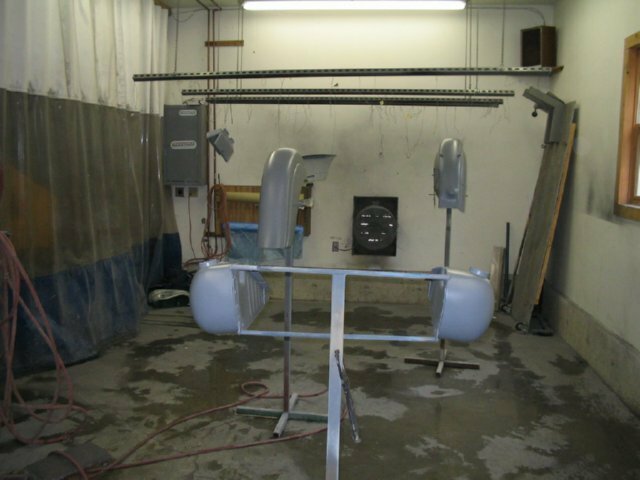 He had us strip, weld, and paint the fenders inside and out, after putting them back into shape. 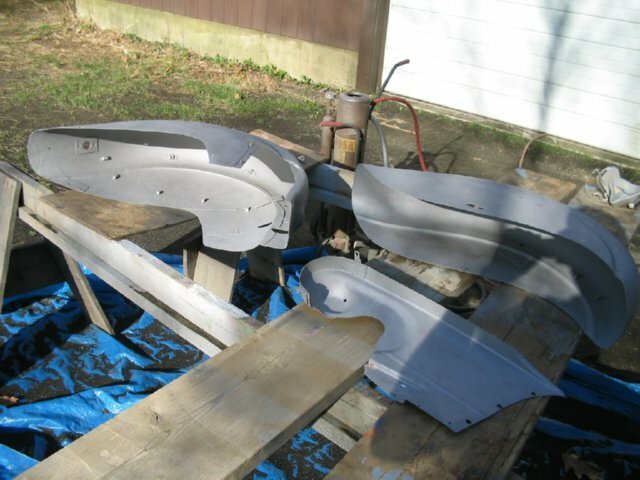 Lots of bondo, lots of rust, lots of stress cracks, and bends. 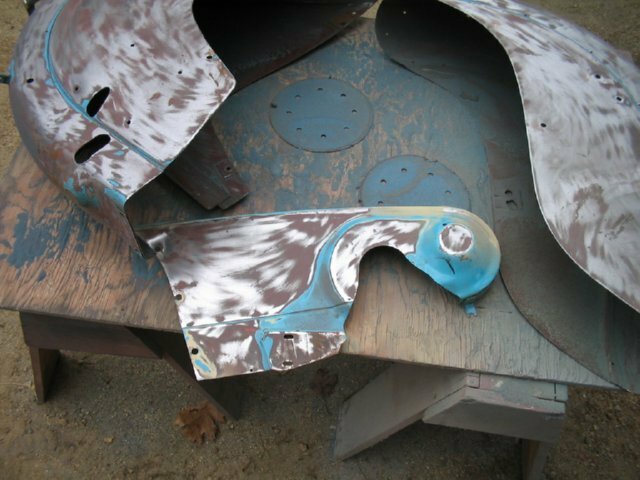 Zinced on the inside. 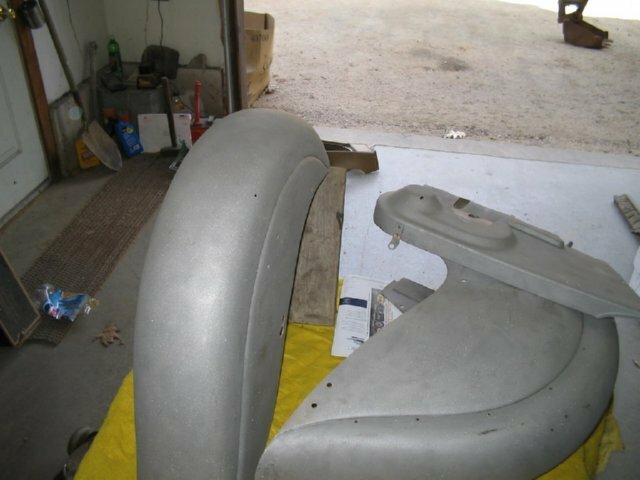 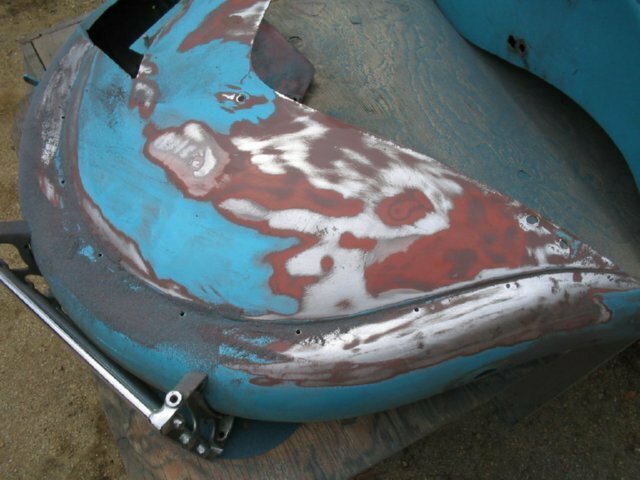 Don wanted this sheet metal perfect inside and out wich included reshaping the front and rear of both fenders so if you inspect the insides, you cannot feel any repair work. 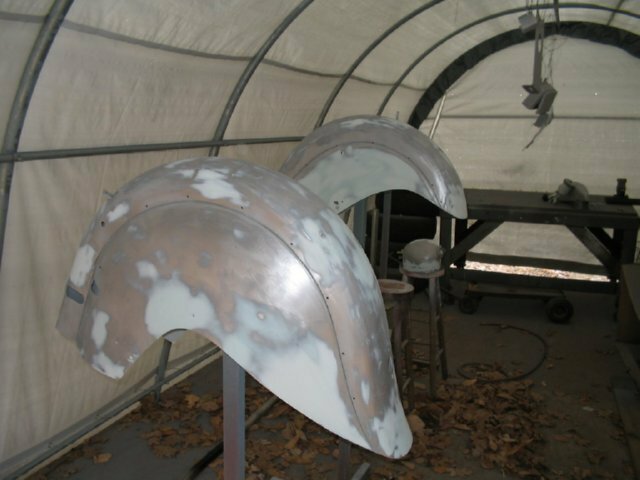 Skim coat of filler on the welds and dents. 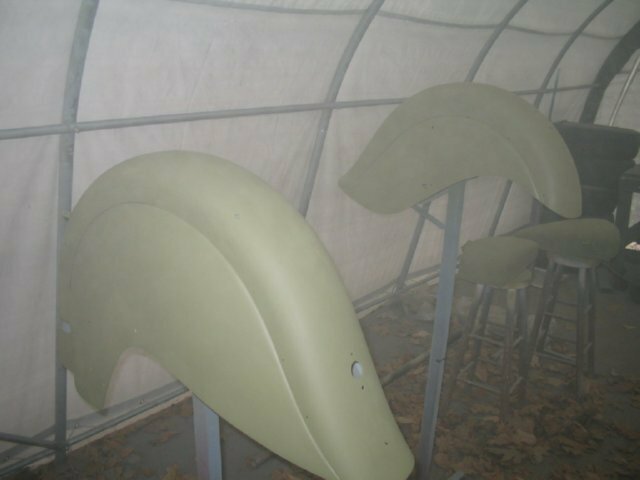 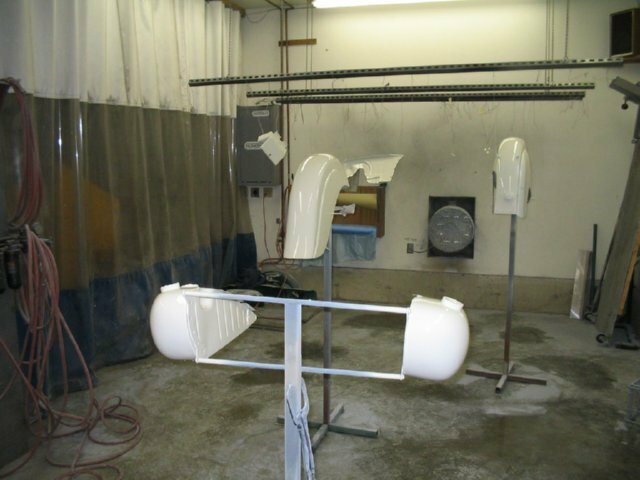 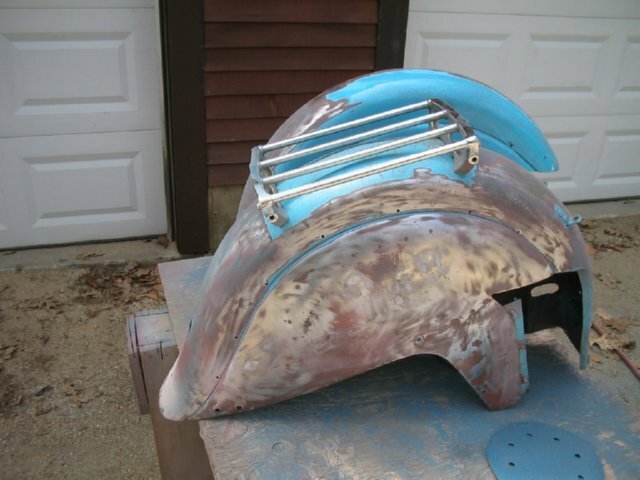 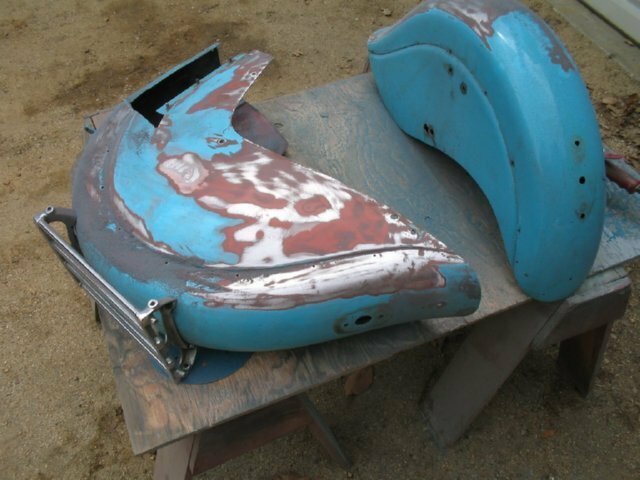 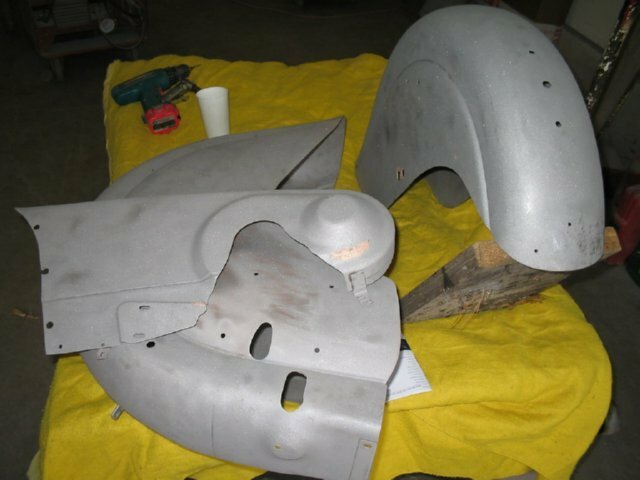 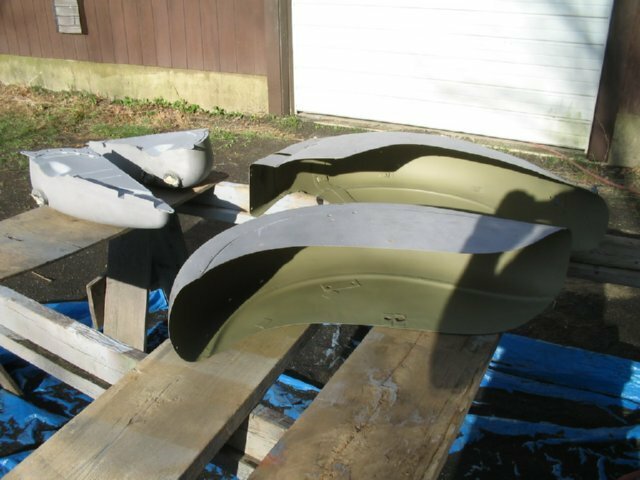 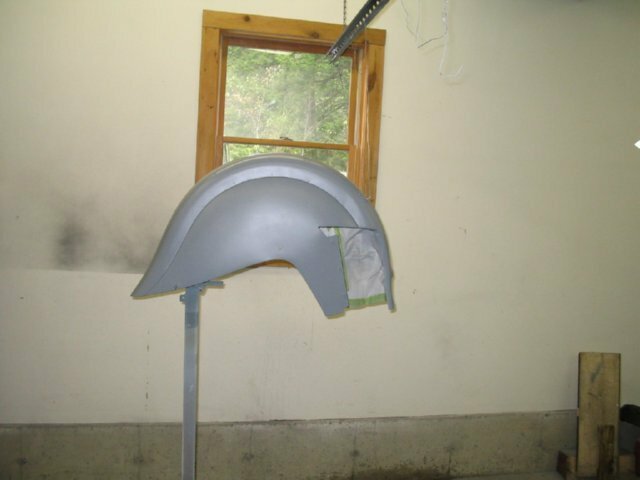 Primer on fenders and tanks. 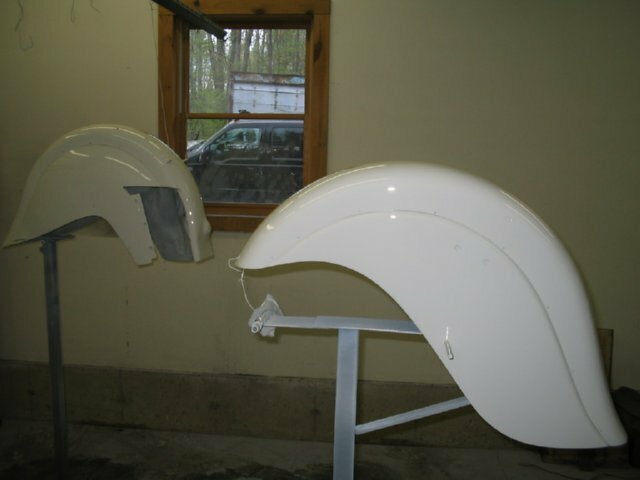 Don chose a White basecoat/clearcoat for this motorcycle.